1. 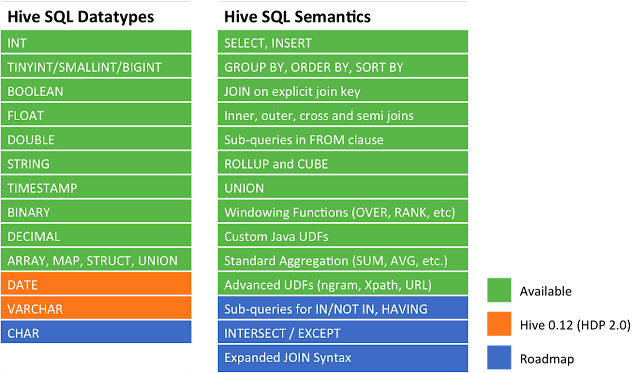 Enhancing SQL Semantics - HiveQL not SQL but will as like as possible. 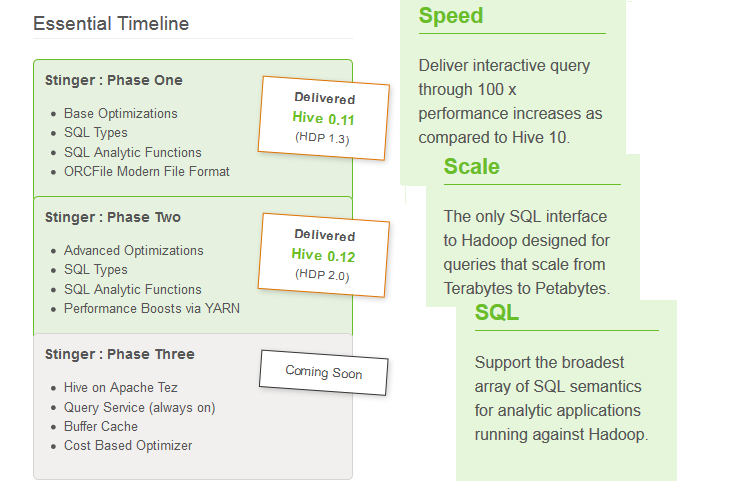 下圖就是HiveQL增加的DataTypes和Semantic，目的就是Make Hive better , make SQL compliance. 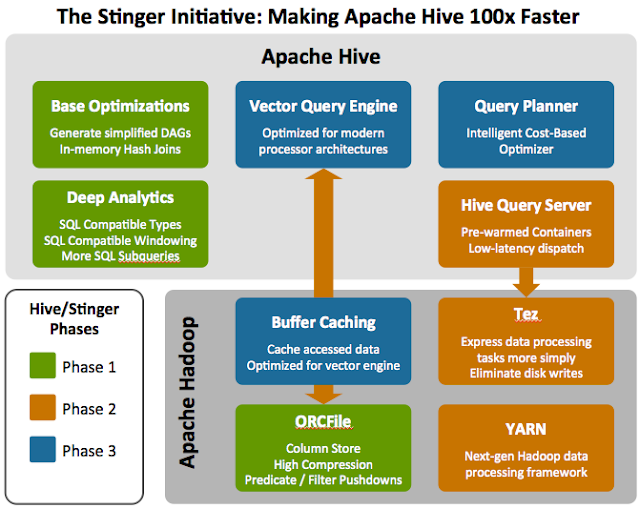 Harish Butani from SAP has led an effort to add analytics and windowing functions to Hive. This will add the OVER clause for use with existing aggregate functions as well as adding analytics functions like RANK and NTILE and windowing functions like LEAD and LAG; you can see this work at HIVE-896. 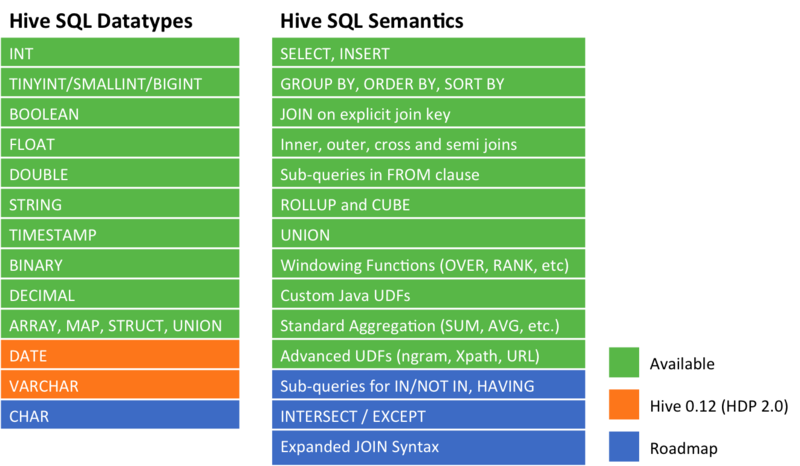 Namit Jain from Facebook has been spending a lot of time lately optimizing Hive’s query execution planning so that it performs joins and other operations more efficiently and with less need for hints from the user. Hortonworks engineers have been collaborating on these and other community efforts to improve Hive. ORCFile (Optimized Row Columnar) offered excellent compression, delivered through a number of techniques including run-length encoding, dictionary encoding for strings and bitmap encoding.